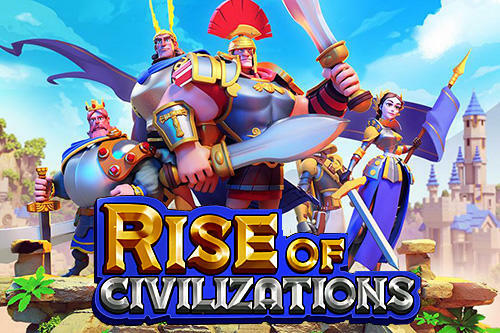 Rise of Civilizations does not reinvent the city/civilization building genre, but while familiar tropes are present – choose a civilization, build a city, expand etc – developer Lilith Games adds various elements that make the game more engaging and less frustrating. In addition to standard tasks there are missions and daily goals to keep you occupied. If you ever played Sim City, the building process will be second nature. Here you start off with City Hall and using the resources available you build schools, military bases, cultivate farmlands, roads and so on. Look out for special cards that pop up as they speed up the building process. Unlike other city building games, Rise of Civilizations gets a lot of thongs done in just a few minutes, and that should motivate you to keep playing. Controls are simple and effective. Pinch the screen to zoom out. At max zoom you can see the rest of the map by dragging your finger across the screen. There are plenty of things to keep you occupied in your city, but there’s also a lot going on outside of it. By dispatching a scout you’ll be able to explore the other areas of the map and interact with other cities and the inevitable barbarians. Equipping and training your military is key to expanding the kingdom. Your commanders have distinct abilities so you have to know how to make the most out each one to succeed in battle. This might seem a lot but it’s really just the tip of the iceberg as Rise of Civilizations has much more to offer.